Barbara R. Smith, Diabetes Educator at Westmed shares a healthy and simple recipe to help you achieve you New Year’s Health goals. Directions: • Preheat oven to 375 °F. • Cook potatoes in boiling water until tender. • In a nonstick pan, add vegetable spray and warm at medium heat. • Add onion and sauté until brown. Add vegetables and sauté until tender but not brown. • In a medium mixing bowl, slightly beat eggs and egg whites, pepper, garlic salt, and low-fat mozzarella cheese. Stir egg-cheese mixture into the cooked vegetables. • In a 10-inch pie pan or ovenproof skillet, add vegetable spray and transfer potatoes and egg mixture to pan. Sprinkle with low-fat parmesan cheese and bake until firm and brown on top, about 20–30 minutes. 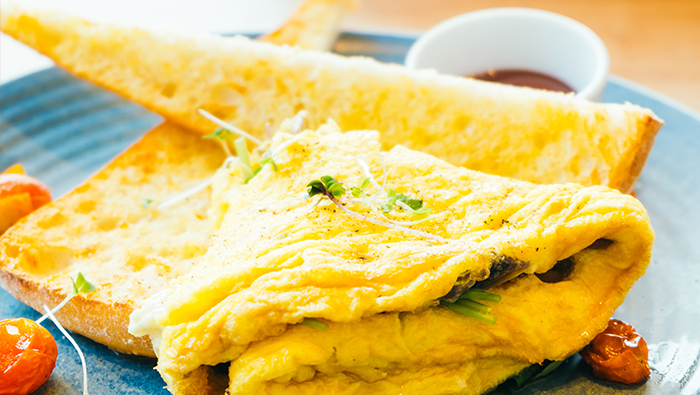 • Remove omelet from oven, cool for 10 minutes, and cut into five pieces. How to Keep Moving – Even in the Winter!